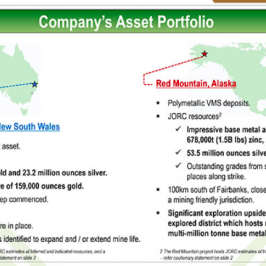 About a month ago, I posted an article on Ucore Rare Metals [TSX-V: UCU] / [OTC: UURAF], in which I highlighted the Company’s emergence as a majority holder of a valuable technology to produce heavy rare earth elements & critical high-tech, green-energy metals (“critical metals”) used by the US Department of Defense (“DOD”) and Department of Energy (“DOE”). I pointed out something that’s well known by a number of US governmental agencies, but not by enough citizens, namely that China dominates the production & refining of many critical metals. This should be alarming, ongoing inaction by the US is unacceptable. In this article, I double down on the theme of deteriorating relations with both China & Russia, and President Donald Trump. I have no bones to pick with Mr. Trump, I’m merely examining some of his policy initiatives. Spoiler alert, all roads lead to surging demand for critical metals. Why? First and foremost, there’s the very significant decline in US/China relations. Trump has proposed a 45% tariff on ALL Chinese imports, including critical metals that the US and non-Chinese countries are so dependent on. China could use critical metals exports as a chess move in a potential trade war. Mr. Trump has upped the ante regarding protectionism and rebuilding America’s middle class. This involves retrieving high-paying manufacturing jobs from Mexico & China. Trump is steadfastly in favor of a revamped, stronger military complex that can operate in multiple hot spots at once. Without question, this entails a meaningful uptick in spending. When considering an increased military budget, it’s important to realize that virtually all investments into the DOD, Homeland Security / National Defense, etc. will be for high-tech gear and munitions (including communications & transport). The amount of critical metals used by the DOD in the past decade could be negligible compared to that used in the next decade. Importantly, since my previous article, Trump has questioned the, “One China” policy whereby the US recognizes China, BUT NOT Taiwan. I won’t go into the details or take sides, suffice it to say that China is pissed off. And, China is not sitting idly by, it recently seized a US underwater drone (and later returned it) in a provocation that demonstrates that country’s resolve in facing the US. China is also behaving in an aggressive manner by building strategic military installations in an area of the South Sea that’s contested by several countries. Regarding Russia, for months leading up to the Presidential election Hillary Clinton seemed to have it out for Russia. When she lost, many thought the rhetoric would dissipate. It hasn’t. Notably, Russia is in a tough spot, it’s one of the largest oil and natural gas producers on the planet. The collapse in oil price is killing them. Putin might not mind a little bit of war to pick up the economy. In the end, what’s (potentially) bad for the US is good for military contractors. As goes the DOD budget, so goes the budgets of many countries around the world. However, make no mistake, the US is far from the only country looking for security of critical metals supply. After selling to Russia, how many other countries would China supply before sending material to the US?!? 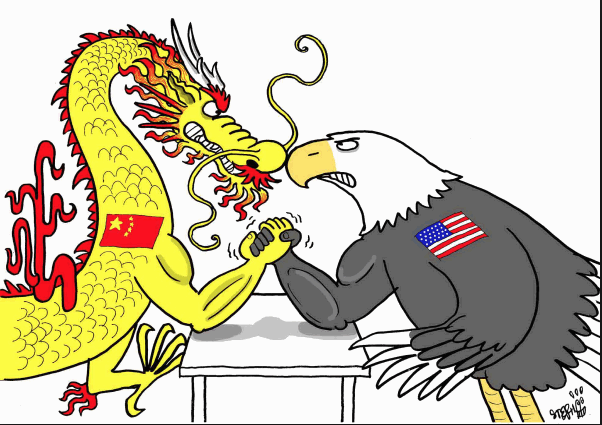 There’s lots of talk about US/Russia relations being the worst since the Cold War in the 1960’s, but US/China relations are no better, not this bad since the 1970’s. There are a handful of mission critical REE, green energy & high-tech metals that could become difficult to reliably secure under certain adverse circumstances. It’s no secret that in addition to an insatiable need for various REE, the DOD is front and center in the analysis and adoption of EVs for multiple end uses. 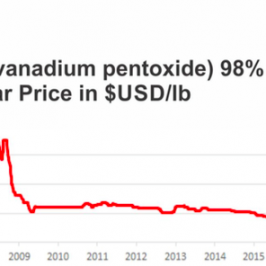 This, combined with commercial and industrial uses of critical metals; electronics, could lead to a perfect storm of demand outstripping supply. Surely, multiple powerful industry trade groups are all over the security of supply issue, and multiple DOD agencies and think tanks are on the case…. Alas, that’s not true. This situation has been a US embarrassment for a decade or more. Yet, the risk of a serious confrontation has grown significantly in just the past 6 months. That’s where Ucore comes in. 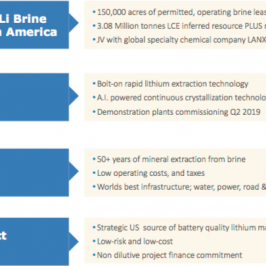 Indirectly, Ucore will become a secure, US supplier of high demand metals to the defense industry, EV battery makers and global green-energy companies. Sourcing and processing/separating critical metals outside of China’s clutches is a tall order. But Ucore has answers, for example it can process oil sands (and other) tailings, & coal ash, pulling out valuable metals, while remediating toxic environmental wastelands at the same time. For industrial/mining enterprises, this is a win-win proposition. 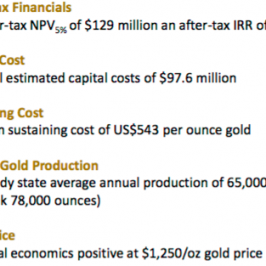 Polluting companies stand to share in the economics, of which Ucore would capture a large part of the cash flows. Urban mining is another avenue being pursued. Urban mining refers to recycling and reclaiming critical metals from spent catalytic converters and consumer electronics. 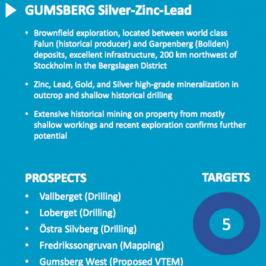 This equates to new production without mining, with critical metals production starting next year. Ucore’s game-changing technology for separating individual HREE and other essential metals is faster, less energy intensive, generates fewer emissions and waste, does not use solvents or toxic chemicals, has a smaller surface and environmental footprint, requires less cap-ex and will enjoy lower op-ex. The Company has a viable path, underpinned by potential profits that appear to be strong. Margins will have room to grow because the DOD, and nation-states the world over, interested in equipment soaking up critical metals are not particularly price sensitive. Ucore has never been in a better position, 2017 is primed to be a breakout year for the Company and its stakeholders. Disclosures: The content of this article is for informational purposes only. 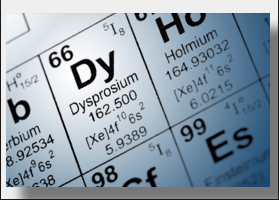 Readers fully understand and agree that nothing contained herein, written by Peter Epstein, about Ucore Rare Metals, including but not limited to, commentary, opinions, views, assumptions, reported facts, calculations, etc. is to be considered, in any way whatsoever, implicit or explicit investment advice. Further, nothing contained herein is a recommendation or solicitation to buy, hold or sell any security. Peter Epstein and Epstein Research [ER] have never been, and are not currently, a registered or licensed financial advisor or broker/dealer, investment advisor, stockbroker, trader, money manager, compliance or legal officer, and they do not perform market making activities. Peter Epstein and [ER] are not directly employed by any company, group, organization, party or person. 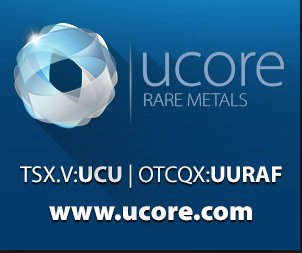 Shares of Ucore Rare Metals are highly speculative, not suitable for all investors. Readers understand and agree that investments in small cap stocks can result in a 100% loss of invested funds. At the time this article was posted, Peter Epstein owned shares in Ucore Rare Metals and the Company was a sponsor of Epstein Research. Readers understand and agree that they must conduct their own due diligence above and beyond reading this article. While the author believes he’s diligent in screening out companies that, for any reasons, are unattractive investment opportunities, he cannot guarantee that his efforts will (or have been) successful. Mr. Epstein & [ER] are not responsible for any perceived, or actual, errors including, but not limited to, commentary, opinions, views, assumptions, reported facts & financial calculations, or for the completeness of this article.